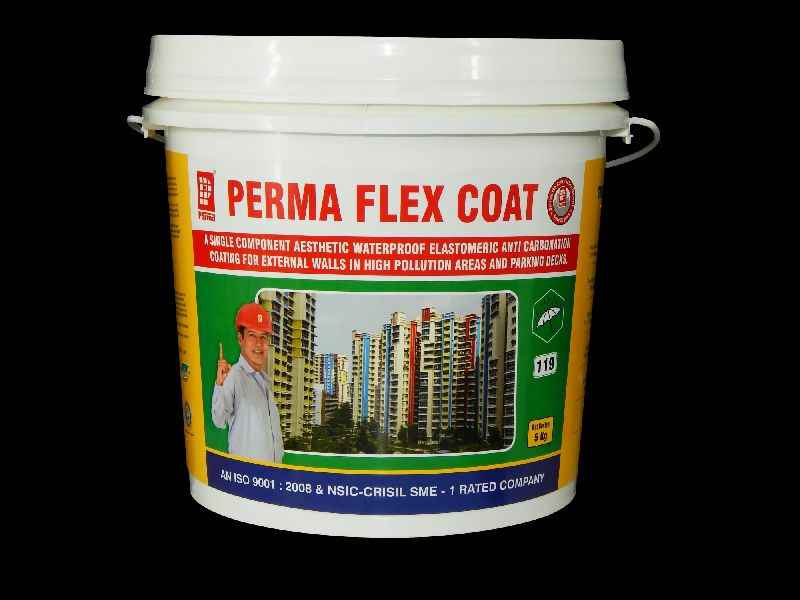 Perma Flex Coat is an environment friendly acrylic protective Perma Flex Coats which protects walls from algae, fungus, polluting atmosphere and make them waterproof. The product is available as per the shade card in 18 shades which are totally alkali stable and resistant to UV and IR rays, The product is highly flexible and electrometric with strong anti-carbonation properties and allows the concrete surface to breathe normally. Packing : Perma Flex Coat is supplied In 1.5 kg., 5kg, 15kg and 50kg packs.